Hello everyone! In this tutorial I will show you how to increase server security by tuning up configuration of SSH. You need to have working SSH keys. You need to be able to login to your server by using them. After completing this tutorial, SSH keys will be the only way to access server. If you won't be able to login by using them, well, you will lose access to your server. In order to add user and configure keys you can follow this tutorial. Make sure that at least one of the users is in wheel group (has access to sudo). Root should not have access to login via SSH. So if you will block this option and you won't have any sudo user, you won't be able to do much on the server. Follow this tutorial in order to configure sudo. After that, try to open new SSH session in new window. Do not logout from your current session! If you won't be able to login with new session, you can undo the changes with existing session. If you will be able to successfully login, you can proceed. 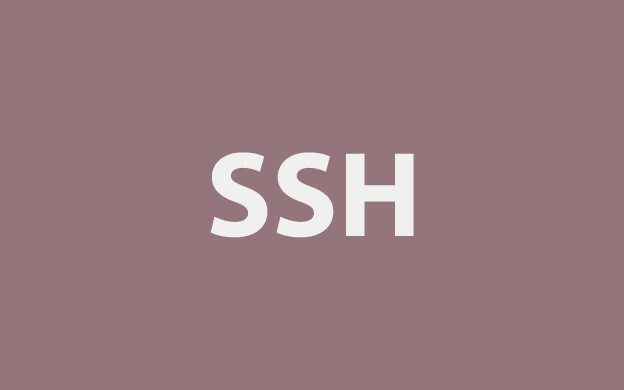 How to secure SSH on CentOS even more? There are still some things that will help you improve SSH security. Edit the same configuration file as before. Below You will find the configuration options that I usually use for SSH. This option will disable root login via ssh. So it means that from now on you won't be able to login to your server as root via ssh. By default you are able to login as any user that is created inside the system. It can be easily limited to particular users. Just give space separated list after AllowUsers. It might not be present in your config, so you need to add this line (for instance at the end of the file). This option is set by default in most CentOS installation, but just make sure that there's no version 1 instead. It's less secure protocol. It will disable insecure access via RSH. This line will disable login for users that have empty passwords. Make sure that your account has password set, before changing that! If you don't plan to login with GSS API, or Kerberos you can disable them as well. If you don't use X11 you can safely disable it as well. Nice feature is to show last successful login after you will login via SSH. This is usually safe to execute, but you must remember that not all algorithms are supported by various tool. Here you can find great chart showing, which tools support given algorithms. But let's be honest, most of you is probably using OpenSSH which supports all the changes I will present here. However if you are using different tool and you won't be able to login to your server, check with the page and enable additional algorithms. These config options will probably not be listed in your config file. You need to just add them somewhere, like at the end of the file. Server must confirm the identity to the client. There are bunch of algorithms available, but this is the list of most secure. This might be present in your configuration file, also there might be more not commented lines with HostKeys. Leave only these two enabled and comment out the rest. There are many more key exchange algorithms, but this is probably the most secure. Ciphers are used to encrypt the data. As with key exchange, there are multiple algorithms. These are the safest. MACs are used for data integrity. Again, line above contains the safest algorithms only. After these changes, don't forget to restart sshd daemon. You can use our Ansible LAMP on Steroids project to make configuration of your server easier! If you don't know what Ansible is, check our tutorial first. Clone our repository and setup your server faster with LAMP on steroids. This entry was posted in Linux and tagged Ansible, CentOS, hardening, security, SSH, Vagrant, vps on April 17, 2015 by astaz3l. I will show you how to organise groups and users in CentOS. If you are on fresh system it's handy to create a list with all available groups. 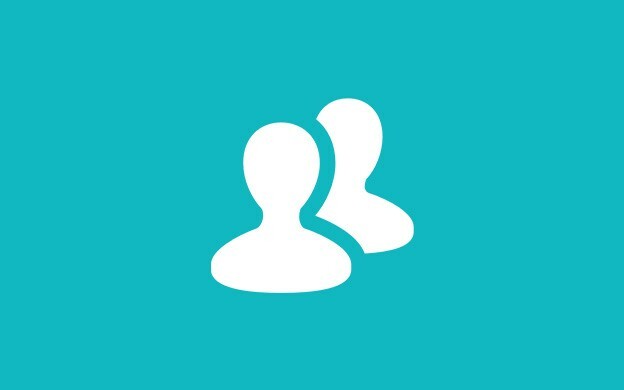 It's also handy to check which users belongs to that groups. It might be helpful after some time when you need to decide if given group was at the beginning or can it be safely removed. getent command can help you with that. -r flag will remove also his home directory. If you wish to delete the user, but to keep his files, omit this flag. If you want to add this user sudo powers (and you should if you want to use this user instead of root), add it to wheel group. wheel group is special group in CentOS configured in sudoers file. Whoever belongs to this group can have sudo powers. There are lot of additional parameters for useradd command but there are two especially useful. How to setup SSH keys for new created user? Each user should have RSA key-pair. It makes life easier and you should use it if you want to login to different servers, use GIT etc. In order to create such user key-pair you first need to login to user you created. Most probably you are using root account to execute all commands, but you should never ever login via SSH as a root. -t rsa means that it will be RSA key, but this is standard for creating SSH keys. Fun part is with strength of the key -b 4096. By default it's 1024 bits, but to make it harder to break I usually provides 4096. It's not necessary, but you should do that. Some services requires key length to be minimum 2048, but it's better to create even longer one. Generator will ask you some questions, but you should generally confirm them with enter and leave the defaults. When it comes to SSH on the server, I usually don't set the password. It makes life easier in automated scripts etc. After that private and public key should be generated as expected. You can find them in ~/.ssh directory. Make sure that you are executing this command from your computer, not from the server. If you don't have SSH key created locally, you can generate it in the same way as on the server, by using ssh-keygen command. If uou don't have ssh-copy-id available (for instance from Windows), you can do it manually. ssh to the server as usual with password. Change location to .ssh directory. Now You can try to log in with Your key. You shouldn't be prompted for your account password! If you don't want to spend your precious time executing each of these commands by hand, you can use Ansible and our LAMP on steroids project to speed things up! If you don't know what Ansible is - you can read our tutorial about it here. LAMP on steroids project is available on GitHub here. This entry was posted in Linux and tagged Ansible, CentOS, hardening, SSH, Vagrant, vps on March 17, 2015 by astaz3l. How to secure server with iptables? Hi there! In this tutorial I would like to show you how to increase server security by using iptables as a firewall. To be honest, not many people are actually using iptables or any firewall. I think that this is bad practice, because you they allow all traffic to go in and out. You should always limit the possible entry points to your server. Since CentOS 7, we have new tool called firewalld. This is not actually an alternative to iptables. firewalld is a wrapper for iptables. Many people say, that it's easier to use than iptables, but to be honest I believe that it's not flexible enough. Maybe I'm wrong, but I'd love to see some advanced example, how to transform iptables rules below to firewalld 🙂 If you want to use firewalld instead of iptables, unfortunately you need to read different tutorial. Here is great article about firewalld from DigitalOcean. How to install iptables on CentOS7? iptables-services is simple script that will help us save and restore firewall rules. It means that you allow all traffic, both incoming and outgoing to your server. However if you have anything more than output above, copy it to separate file as a backup. 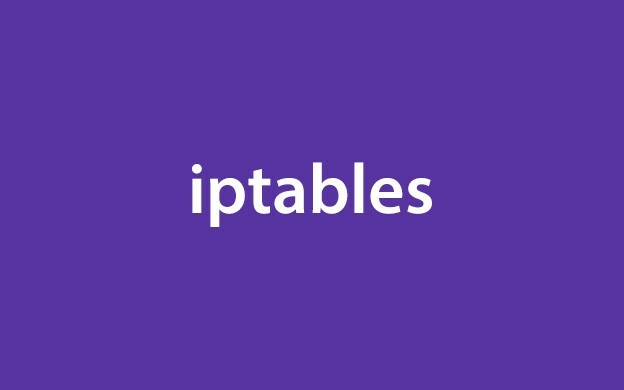 I will describe whole file line by line, but at the bottom of this post you can find whole content that I'm using for iptables. You need to have both in order to get iptables configured properly. Between these two lines, you can add iptables rules. At the very beginning I'd like to clear whole rules. In other words - enable all traffic. The reason is that I want to be able to execute that file over and over again, and I will always set the rules that I have in file. No other rules will be applied (for instance rules added by command line). Next thing is to allow all loopbacks. Those are local connection and blocking them might cause errors in some connections. In addition we will block those which doesn't use lo0. All connections that are active now, should remain untouched. It will prevent from interruption of services. In most cases you will need to be able to ping server. These rules will allow two things. First - you'll be able to ping your own server. Second - you will be able to execute ping from your server. Both are usually needed and quite useful. Ping is cool, however you might get attacked with Ping of Death attack. Here is simple protection. This is really nice piece of rules that will prevent port scanning, SYN flood attacks, invalid packages, malformed XMAS packets, NULL packets, etc. 53 - DNS port. It's a must if you want to use curl or yum. If you will have it closed, you will not resolve any domain name. 123 - NTP port. If you are using chrony or ntpd, you need to enable that port to allow NTP deamon synchronisation. With TCP it's more complicated, but it's not that hard. First, you need to think what traffic you need to access from your server (outgoing traffic). I usually allow only SSH, HTTP and HTTPS traffic. Yum requires HTTP and HTTPS ports for pulling new packages. You will need it also for wget or curl. SSH is not mandatory, but if you want to pull packages from git via ssh protocol, you will need it as well. I usually enable the same for incoming traffic. If you have httpd or nginx installed, you need to enable port 80. If you are using SSL for HTTPS, you need to enable 443 also. In addition to these two ports you must enable port 22 for SSH. If you will block this, you won't be able to get access to your server! At the very end, before closing COMMIT tag I add these three rules. So everything that was not specified above will be dropped. Both incoming and outgoing traffic. There are two ways how you can apply the rules. First, save the changes in iptables file. First method is not permanent method. It's good way of testing your firewall before saving them permanently. If anything will go wrong, you can just restart the server and you will have all traffic open. Make sure that you check SSH access with these rules. Log out and try to login after applying rules. Try to check rules with iptables -S to see the difference:) Check if everything is working fine. If so, you can set them permanently. After each server restart, rules will be applied automatically. It is based on Ansible. If you don't know what Ansible is, check our tutorial first. We secured our system with basic firewall. That will increase the security of our server. In one of the next episodes we will change the configuration of our SSH and therefore make it more secure. As always You can use our Ansible playbook for faster provisioning of our server. You can find it on GitHub. This entry was posted in Linux and tagged Ansible, CentOS, firewall, hardening, iptables, LAMP, security, SSH, Vagrant, vps on March 6, 2015 by astaz3l. How to install and configure latest version of MySQL on CentOS? Hi there! Today I want to show you how to install latest version of MySQL Community server (5.7.16) on CentOS 7. I will show you how to install it, set root password, configure server and optimize it for performance. Also I will show you how to create databases and assign users to them. When you try to install MySQL on bare CentOS, you will actually install MariaDB (fork of MySQL) instead. It comes with version 5.5. * It's up to you what you want to use, but I prefer MySQL. Especially 5.7 version. There is great performance boost and lot of new features added, comparing to 5.5 or 5.6. If you have any data on MySQL, it's best to create a backupof data, before you will change anything. Here is a tutorial how to perform backup of MySQL databases. Before you will actually install MySQL, make sure that MariaDB is not installed. You can just remove it. TIP: removing MariaDB will not remove any databases. It will remain on your hard drive. Save the changes. It will enable MySQL repository where from you can install latest version. That's it! You have MySQL installed in latest version! Setting root password for MySQL is important. You should not leave your database server unprotected, even if you only plan to use localhost connection. If this is fresh installation of MySQL (MariaDB or older version of MySQL was never installed) , MySQL will generate temporary password. You will get random password, for instance something like wG]_xj8tus. This is current password to root account. Keep in mind that this is only temporary password. It will expire, so you need to change it as soon as possible. You need to replace wG]_xj8tus with the password from grepping log file. Note that there is no space after -p argument. Also replace NEW_STRONG_ROOT_PASSWORD with your new root password. Keep in mind, that it needs to be strong password, containing lower and upper case characters, numbers and special characters. MySQL 5.7 comes with plugin that validates password strength. It won't allow you changing password to something that is easy to guess or brute force. If you just upgrading MySQL/MariaDB, your root password will be the same. You can of course change it with mysqladmin if you wish. Type your root password. It will check all the data and alter tables for 5.7 rules. You might ask - how about mysql_secure_installation? You can also use this command for setting root password after installation. However when you install fresh version of MySQL 5.7 there is no test database, anonymous users etc. Everything is clean and secured. I like to tune up default MySQL configuration. With 5.7 version, lot of defaults are set in order to provide high security and performance. However there are few things I like to change. Most of the stuff is stored under /etc/my.cnf file. MySQL is reading configuration from there during startup. You can also change it dynamically, but here I will focus only on this file. There will be some defaults, you can leave them as they are. Most probably, all options here will be missing, so you need to add them under [mysqld] section. I increase the size of temporary in-memory tables created by MySQL. If you are doing lot of advanced GROUP BY queries, you will probably have to increase it. Make sure that you are setting both to the same value. If one will be lower, second one will be limited to lower value as well. Also another performance boost is creating buffer for InnoDB pools. It will keep the data in RAM, so reads will be much faster. Make sure to not to set these values higher than your RAM limits. It should be large enough to store as much data as possible. Slow queries can kill your server. It's nice to know earlier that something is going on. I usually turn this on and check it frequently for such queries. If there are some complicated / not optimal queries, you should fix them as soon as possible. Few notes about playing with configuration. You must know that it's not easy and it's highly depends on number of tables, queries, inserts and lot of other factors. I usually use two tools. First is MySQLTuner that can get you some insights about what to change in order to gain performance. Usually it's just tuning query cache, and InnoDB buffer size. However practice shows that it doesn't always show correct values. Sometimes you can get slower performance instead. MySQL during installation create it's own group - mysql. 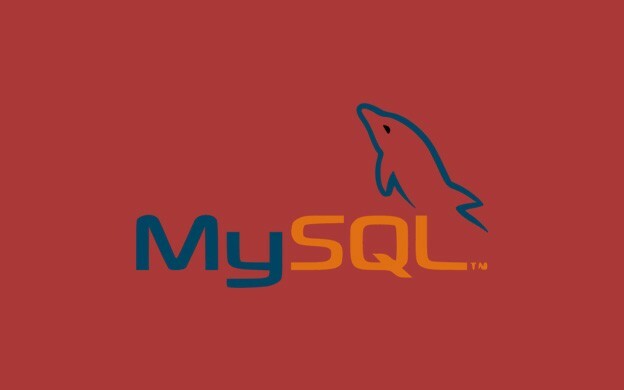 Most of the data files, and logs have mysql:mysql ownership. It makes it hard to read the logs when you are non-root user. You need to use sudo to get access to logs. You can make it simpler by adding user to mysql group. When user will be in such group, he can easily read logs. In my case, user is named developer. Replace database_name_here with your database name. I like to create name for database from domain. So for instance for blacksaildivision.com, database name would be blacksaildivision. Remember that you can't use the . in database name. Once you have your database, you should create dedicated user that only has access to this database. Having separate user per database is good approach from security perspective. It will create blacksaildivision user that can connect to MySQL server only via localhost. It means that he won't have access from outside. After IDENTIFIED BY you need to type password for user you want to create. Same rules as for root password, it can't be easy to guess. So you give user full access to blacksaildivision database. .* means that he should have access to all tables in blacksaildivision database. After TO you need to specify user that you created in step before. -u stands for user, -p means that user will connect by using password. Last thing is database name you want to connect to. This entry was posted in Linux and tagged Ansible, CentOS, databases, mysql, mysql logs, Vagrant, vps on March 3, 2015 by astaz3l. In this tutorial I would like to show you how to install latest version of PHP on CentOS 7. If you are using PHP you most probably will want to have latest version of PHP7. PHP 5 support officially ends this year. Version 7 is now commonly used. It gives lot of performance boost and new features. It will download the archive from GitHub, unpack the sources and change working directory to unpacked sources. Apart from enabling extensions command above will also set where PHP will be installed. In my case it's /usr/local/php location. If you will want to remove compiled PHP you will simply have to remove entire directory given under --prefix option. Before we will be able to run PHP from Apache we need to setup PHP-FPM worker. After installation there should be PHP-FPM default configuration file in installation directory. We will alter the file and then change it a bit. include=/etc/fpm.d/*.conf - by default there is one pool defined inside php-fpm.conf file. The best way to solve it is the same way as we solved Apache vhosts. We will include each pool in separate directory. In php-fpm.conf file one pool is already defined. We need to delete it from this file and put it inside fpm.d directory. We will have better control over the pools. The easiest way is just to Cut it from this file and paste it into new one. Each pool must have different name. So we need to change it from [www] to something else, for instance to domain name. It'll be easier to find the issues inside log files. We set user and group to the same user as apache to have access to files. Port will be different per pool. Standard way is to start from port 9000. Next will be 9001 etc. We will catch errors and log them to file. In addition we set logging for slow requests. Nice part is that we can overwrite the settings from php.ini here. So we can overwrite error_log or memory_limit for instance. We should also set open_basedir so PHP will have access only to files inside our htdocs directory. Our server will be more secure with this setting. Second thing is php.ini file. After installation php.ini file should located in /usr/local/php/lib. This is only the location. After compiling from source You won't anything there so we need to copy it from uncompressed sources. So we set few things here, enable <? tag, limit access to files from PHP level, disabled dangerous functions, adjusts timezone, security, max execution times, errors etc. In addition we have enable OPCache for PHP. Each one of these options are well commented inside php.ini file. If You don't like the settings here or You need something else, feel free to change it for Your purposes. With PHP source code there comes ready script for that purpose. Save the file and add executable permission. After that we should have php-fpm process up and running! We can do one more thing to make our life easier:) Add PHP executable to PATH, so we'll be able to call php command from every directory. Now is the time to finally setup Apache for .php files. Let's edit one of the Virtual Hosts now. How to test if PHP is working? We need to test if our PHP installation works. The easiest way to debug and check what's going on would be to create test.php file inside our /var/www directory. 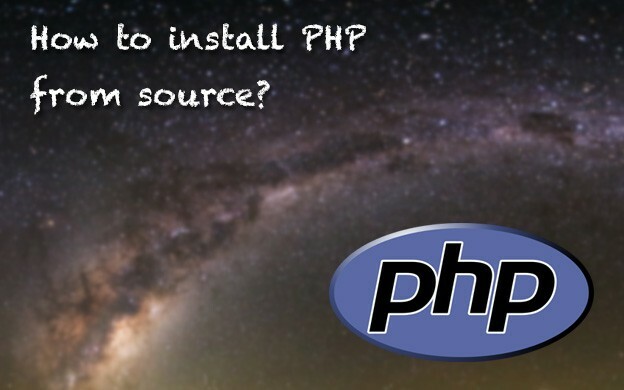 If everything is OK you should get information about PHP installation. Well done! We are one step closer to our LAMP server. The only thing we are missing now is MySQL which we will install in upcoming episodes. If You are running Ansible for provisioning You can find everything from this series inside my GitHub. This entry was posted in Linux and tagged Ansible, apache, CentOS, hardening, OPCache, PHP, Vagrant, vps on February 25, 2015 by astaz3l. In this part of setup complete webserver we will harden Apache with popular mod_security. Mod_security is a small module that works like application firewall. It protect the app before most common attacks and vulnerabilities. It's good to have such thing on the webserver. I assume that You have Apache already installed, if not check out previous part - How to install Apache on CentOS? This is part of our series LAMP on steroids. Check the links below to learn how to setup awesome webserver! First thing is installation of required tools. We need them to compile mod_security. Next thing that we need is to download and decompress mod_security. Download links can be found on official mod_security page. Now it's time to compile mod_security. While ./confgure we need to pass paths to axps and apr binaries. All binaries should be inside bin directory in apache installation path. If there was no error mod_security is ready to use. It can be found in /usr/local/modsecurity We need to copy generated .so file to apache extension directory. mod_security is nothing without the rules that tells what attacks should be blocked. Fortunately there is a great package with lot of rules provided by OWASP. We will use such rules package to harden Apache HTTPD. So let's download, unzip and copy the rules to apache configuration directory. Now we are ready to use ModSecurity! In previous article we added httpd-security.conf file with some basic rules that improves Apache security. We will modify this file to load mod_security with OWASP rules and add some basic configuration. 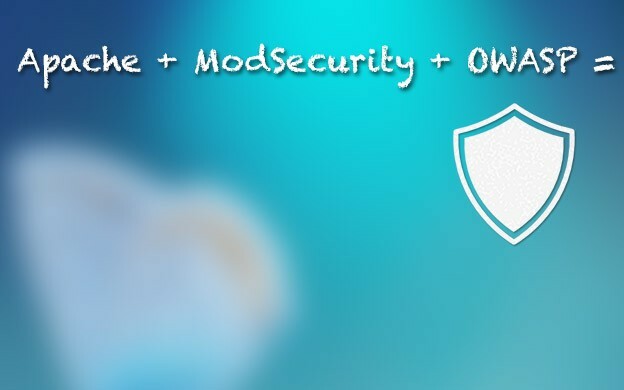 You need to know that mod_security is pretty large module with tons of configuration option. You can find them in ModSecurity reference manual. First we need to load mod_security module. Next are rules from OWASP that we will include to ModSecurity. We need to include the setup and base rules. OWASP core rule set comes with lot more features that are marked as optional or experimental. We can enable those rules, but we also need to remember that it might not play well with our website. It's rather testing by trial and error then one rule will work well on every website. But in general including base_rules is OK.
SecRuleEngine enables detection and blocking of malicious attacks. Next thing is Debug log. By default all error logs goes to apache error log, but we can set different path to debug log. Best practice would be to change it per domain inside particular VirtualHost file. In previous article we setup directory structure and we have logs directory there. It would be wise to used it for debug log as well. Audit Log is complementary log for Debug log. It has detail information about every error. It's disabled by default so we need to enable it and turn on logging relevant (warnings and errors) issues. Next options are for configuration the audit log. In general there are lot more of discussing at this topic. If You want to learn more about how to setup and read mod_security logs, here is really great article about mod_security logging by Infosec Institue. Now we just need to save the file restart apache and our httpd server has better security. If You are following our series, You should have now part of LAMP stack (Linux Apache MySQL PHP). Apache is secured with mod_security. Small note to those who would like to install mod_evasive as well to increase the security. To be honest, it's really not worth to install it on Apache. Why? Because when You run multiple instances via MPM mod_evasive doesn't share the info between the MPM instances. It means that one instance of apache can block the attacker but others wont. So if You have many MPM workers mod_evasive is just useless. As always, if You are using Ansible for server provisioning You can use ready playbook, that will cover everything in this series. You can find it on GitHub. In next episode we will add P to our LAMP server. This entry was posted in Linux and tagged Ansible, apache, CentOS, hardening, LAMP, security, Vagrant, vps on February 19, 2015 by astaz3l. In this post we will also setup local vagrant box. We will be using it for future operations like installing Apache or Varnish. The best idea without messing everything out is to use Vagrant. If You don't have Vagrant installed please download and install it first. After installation You should be ready to use Vagrant. Create directory in place where You want to keep Your vagrant file. Vagrant will download the image of OS You selected. It might take a while, depending on Your network performance. Next we need to init Vagrant instance. It will create Vagrantfile in Your directory. You can check out this file in any editor. This file has basic Vagrant configuration, you can adjust the options like forwarded ports, synced folders etc. For now, let's leave this configuration file and let's bring our machine to life! And basically that's it! 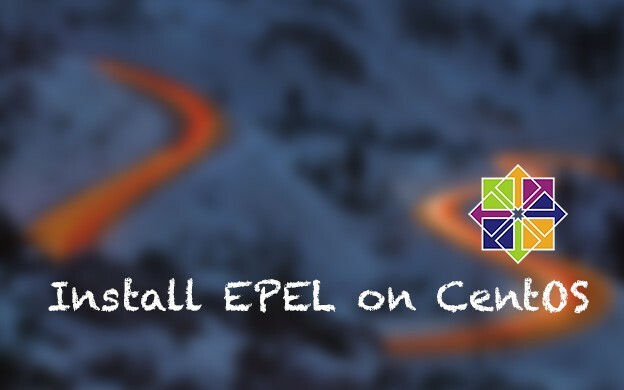 You are now able to use EPEL packages with yum! This entry was posted in Linux and tagged Ansible, CentOS, EPEL, SSH, Vagrant, vps on January 28, 2015 by astaz3l. If you want to setup your server like a pro, check out this guide!